It began three years ago with a discussion about recognizing 100 years of Most Holy Rosary Church. Parishioners excited to document the storied history of this still vibrant parish that anchors an established neighborhood of the city of Syracuse, Strathmore. 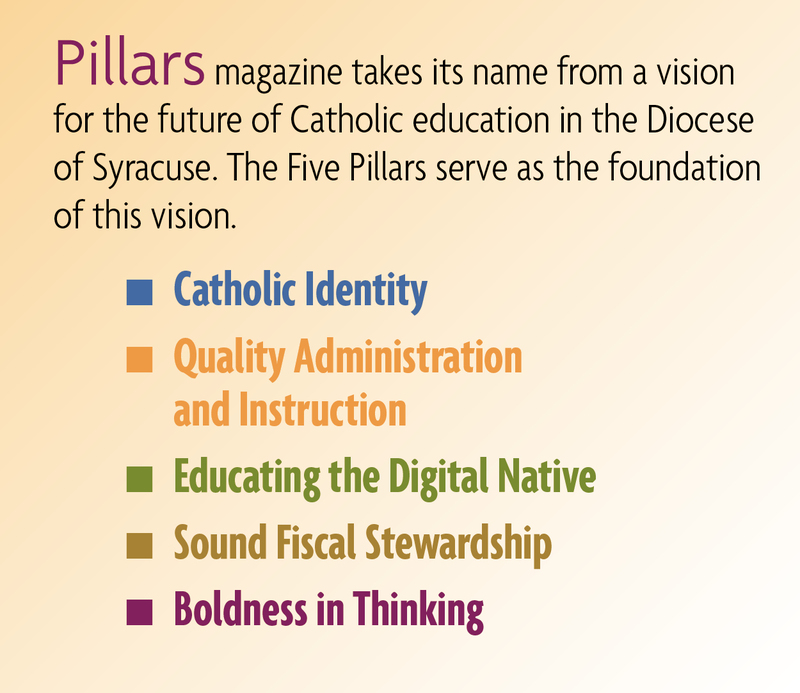 Then the revelation that if the church is celebrating a centennial, how about Most Holy Rosary School? Originally an educational mission of Most Holy Rosary Parish, Most Holy Rosary School (MHR) sits aside the church creating a campus of a Catholic community that has evolved and adapted to succeed, through 100 years of educating students. The first teachers and administrators were Sisters, Servants of the Immaculate Heart of Mary. The Sisters opened their doors on September 8, 1915, welcoming 245 students in Grades 4 through 11. At the time, MHR was one of several Catholic schools within the city limits. One hundred years later, MHR stands as one of a hand full of Diocesan Catholic schools inside the city. To commemorate the centennial of the school, alumni, current faculty and parents launched an effort to establish a physical archive for viewing. The Memory Room houses memorabilia rescued from the attics of alumni, as well as the basement of the school and church, physical reminders that go beyond annual yearbooks. 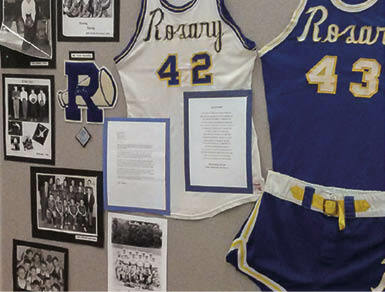 The Memory Room at Most Holy Rosary School displays 100 years of memorabilia. 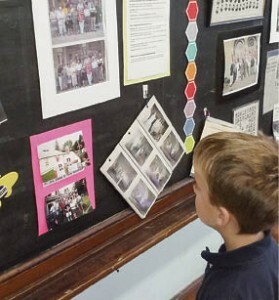 There are pictures of IHM sisters in classrooms, using chalk on blackboards, students in uniforms including button-down shirt and tie sitting behind wooden desks with chairs in a row. Images of days gone by that make those who view them wax nostalgically for a time when days were less scheduled and life was a little easier to navigate. Michca Fortin is an administrative assistant in the Catholic Schools Office.